Shown with chrome frame. Shown with custom logo - call for pricing. 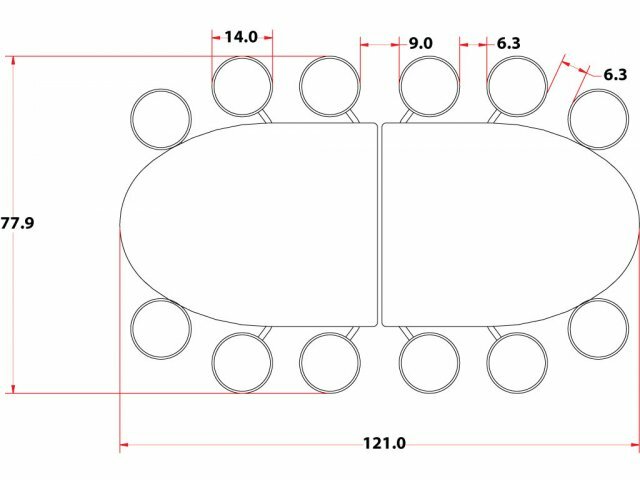 If your students complain that they can't hear themselves think in the cafeteria, then these oval cafeteria tables from AmTab are the perfect solution. 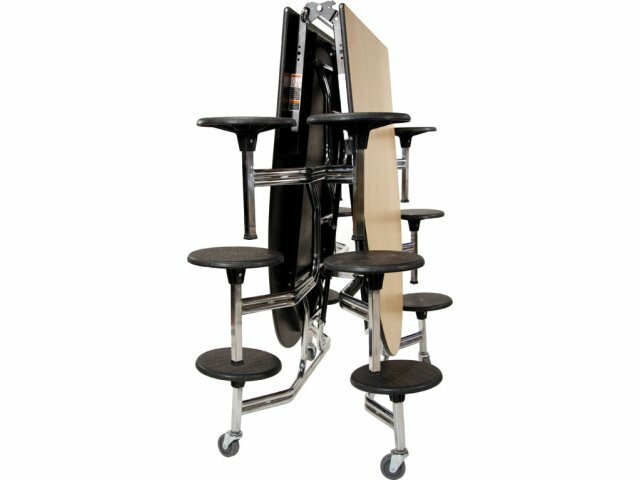 A great shape and a super sturdy design are just what any school needs in a bustling cafeteria. Heavy-duty 14-gauge square steel columns support the 14"-diameter extra-wide stools, offering easier assembly and eliminating stool spinning. 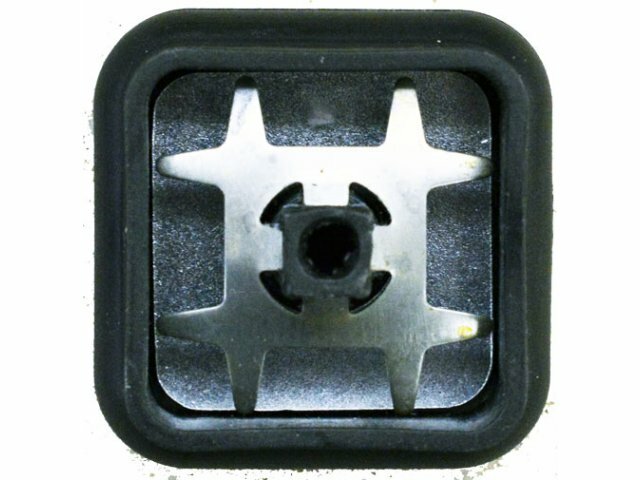 A square steel washer molded inside each stool provides reinforcement and enhanced safety. These oval cafeteria tables are designed to be folded up and stored with ease. 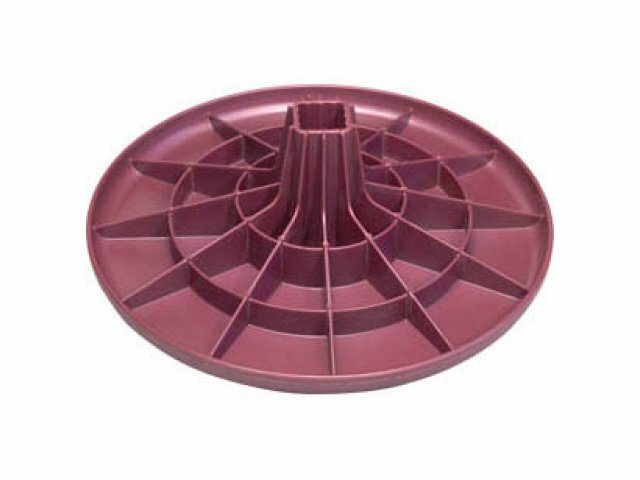 A torsion-bar system facilitates smooth folding. An automatic lock secures the table in the folded position. 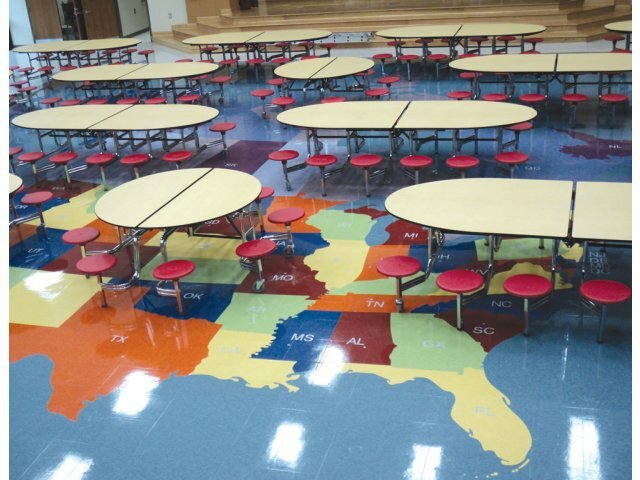 Extra-wide, high-impact Dyna-Grip® glides keep these lunchroom tables right where you want them. Whether it's time for setup, cleanup or lunch, these tables are a pleasure to work with. Enhanced Edges: DynaRock Edge banding is made from 100% solid polyurethane resin sprayed and permanently bonded to table edges. Total Protection: HPL surface and backer and DynaRock banding completely seal the table, preventing warping and eliminating moisture. Heavy Duty Frames: Supported by two heavy–duty, 14–gauge, 3"–wide formed channel steel frames and 14–gauge, 1 1⁄4" dia. round steel tube legs. Secure Positioning: Heavy–duty, 14–gauge, 1 1⁄4" square steel tube columns (braced to the stool support column on the other side of the table) slide right into square stool columns, facilitating faster installation and eliminating spinning. Easy Storage: EZ–Auto Locking System locks the the table automatically in the storage position and can be easily opened from either side of the table. Roomy Stools: Stools are extra–wide 14" dia. 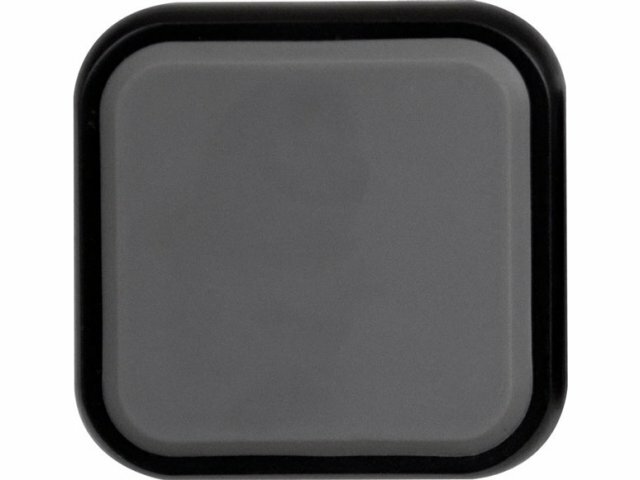 and made from ABS plastic, offering 22% more space than the standard 13” option. 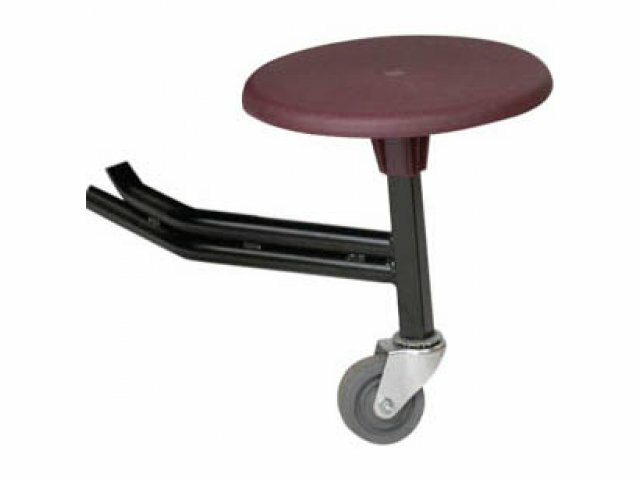 Smooth Mobility: Rolls on 4" x 1 3⁄8" wide non-marking, double ball-bearing swivel casters with case-hardened steel frames. Sturdy Glides: Extra-wide, high-impact, non-marking, load-bearing custom glides with internal spring steel grip are virtually impossible to pull off. A unique design prevents the metal leg from cutting through the glide and scraping your floor. Great Options: Available in a selection of laminate, stool and edge colors.